Enough is enough….I just couldn’t take this any longer.The episode of 28 February,2011 frustrated me so much that I felt I just HAD TO DO something about it. Anandi had done so much for Jagia, yet he was interested in Gauri, the new girl in his life in Mumbai medical college. In the last episode he confessed his love for her repeatedly. The way he completely forgot Anandi and his love for her in the past 13-14 years is what enrages us. Guys, as you can guess; this is an old post. 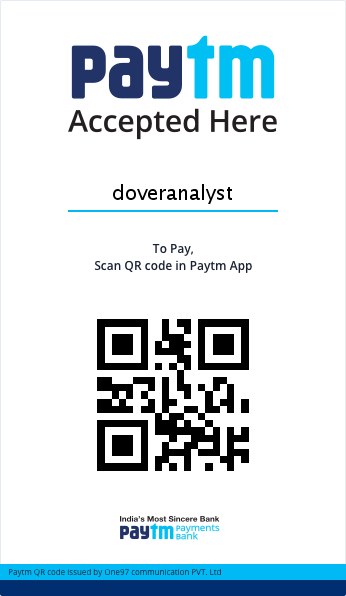 But if you wish to see me now, please youtube doveranalyst. Come, join me. Balika Vadhu has had a product differentiation by not being similar to the typical saas bahu serials we have had like kyuki saas bhi kabhi bahu thi…or any Ekta Kapoor serial for that matter nor is it similar to the highly depressing Na aana is des lado, that concentrates on JUST the evils, and what a woman has to go through. Update: I feel so bad, I acted on COLORS, myself, in a — kaala jaadu serial. But, come, on, doveranalyst came on COLORS, duh! Balika Vadhu marked a difference in the Indian television and had the potential of bringing in a breakthrough; a revolution of independent television that was different from the main stream. Initially the plot of child marriage with sweet kids, Avika Gor as Anandi,(the main protagonist) and Jagdish aka Jagia as her little husband(Avinash Mukherjee) was very captivating. The show positions itself as one that wishes to free the Indian society of all bad practices and gives in interesting messages at the end of every show that make the content of the episode even more meaningful and make us feel that there was a reason why they had this in the show today. When they roped in the new Anandi and Jagia, they had wisely apprehended the reaction of the people……they were not going to let go of their favourite Avika Gor so easily!! So, in a never before historic way, Balika Vadhu selected three actresses to play badi (older) Anandi, and decided on late Pratyusha Banerjee after an sms poll. It was their way of letting the audience participate in the decisions which were earlier just confined to the team. This was a historic move of taking feedback from and giving importance to the customer and I really liked it. However the same process was not followed for Jagia, wonder why. Even I had not liked Pratyusha so much in the beginning as we were so used to Avika Gor, but now when we were getting used to it, they had to do this!! They are even showing reactions of common masses, as the ladies are saying “I was shocked to see Jagia doing this! !”….I was especially amused to see a woman say “I would pray that Jagia comes back to Anandi"
(I wonder how! !....not after he himself accepted his marriage!!! He is two-timing, lying and cheating both the girls…..how does he ever get a RIGHT to choose!! !I wonder if he has any right now!! )Such kind of mentality in our patriarchal society is what never lets us progress. What's wrong with the people!! I wasn’t going to pray about it, (didn’t want to trouble God to put it in the minds of writers….but I thought of actually DOING something that could change the story….of expressing my views online. If Meher could come back in Ekta Kapoor's serial cuz people wanted so, I hope something happens, and Balika Vadhu team(which is more responsive to customers and its viewers) does something about this!!! Jagia always had a love for Anandi, when she had taken the bullet for him, when she made him face his own fear during their honeymoon in Mumbai, when she supported him for his medical studies….. He had even repented when he got to know that Anandi too didn't want kids. He definitely loved her till that incident. And then when he got back to Mumbai, and Gauri expressed her love for him, he was shocked. And I guess everyone had expected that now he would tell her, that he was married and was sorry to lead her on as he had no idea of what she had been thinking…..But NO!!! What he did instead was to calm her down and hugged her. We still thought, he is unable to reveal the truth now, but he would soon find a suitable time to tell her. Ok fine…this whole thing about child marriage that they didn’t even know the meaning of marriage when they were married. But what about what they did AFTER THEY WERE BOTH ADULTS??????? ?WAS THAT CHILD MARRIAGE TOO??? I don’t understand the whole point that just because they have to make people understand ill-effects of child marriage, they should NOT show a happy ending to the lead pair’s relationship!! The show is NOT JUST about child marriage….it is more about life, and everything that is wrong with our attitudes and customs. When Jagia kept lying remember what they showed?? Now, this was in general about morals and about being truthful, right?? They had still given messages how something not fulfilled in childhood can leave a deep impression in the mind to such an extent that a person may go insane. I guess the whole point of the show is not JUST to show the ill-effects but to even show how they can be cured, as they are showing Tai sa (Gehna) and Tau sa's (Basant) relationship is improving by incorporating new things. In this case, say Anandi gets educated and things turn good. If Jagia does not repent even after Anandi gets educated, then how do they prove that education has a great power of changing things??? What's the whole point of the show THEN?? But if they continue to simply make the lead female protagonist suffer…how are they different from the rest of the crap on Television that just keeps doing the same thing again and again!!! Balika Vadhu had been different.It was not as depressing as Na aana is des lado.It had fun too. The first Indian TV prime time show to show grey characters. What I actually loved about the show was it didn’t have anyone completely as a vamp or negative character. Even Dadisa had some welcome good shades about her. All in all, I like this concept of ‘grey’, that nothing is completely black or white….there are shades of grey in between. And it gives a reason for why people are the way they are….as Dadisa has had no exposure, she is so unaware of the modern India. But obviously that wasn’t enough, they brought in the Tau sa, Teempri and Tau sa in Sugna’s in-law to bring in more negativity.Even they showed the reason behind Teempri’s madness. I’d loved the way they linked Jagia’s passion for being a doctor with Sugna’s son’s injury…that such events trigger the need for more education and more services. And now, unfortunately with this love triangle of Jagia, Anandi and Gauri, I am again gripped to see what happens next. Adult adultery is child's second marriage? I even got to hear that Gauri is the same girl whom Jagia had unwillingly re-married in the past. Some people in India forums have the idea that Jagia would marry Gauri and then he would repent..or that both Gauri and Anandi would leave him. Well….this is what I felt about it……………..
Sure it would be fun to see jagia repent & then get nothing!! I do understand that they are doing it to show the ill-effects of child marriage as shown in today's episode of 28 February, 2011(message at the end of serial…child marriage can be devastating when after growing up, the choices change and the husband starts loving another woman). But this is so disgusting....so many people are completely hating it, then why are they proceeding?? If Gauri is actually the girl Jagia had married, are they not giving the wrong message that dadisa was right in the beginning?? And why wait till Jagia starts living with Gauri? ?Why can't he realise BEFORE that??? How could he ever think he loves Gauri?? Jagia longed for Anandi for FIVE LONG YEARS, & then they even got intimate & then went to honeymoon. Anandi supported him for his education.How could he forget all that?? And that too for a girl he has just met in college?? How could he ever cheat Anandi.....today's episode where Jagia hugs Gauri in mid road, is REPELLING......makes us wish to bang the tv....are the writers, producers listening??? Do they have any site to send in feedback that the real balika badhu team can see??? Is there a place where I can give my vote?? I made one myself...not sure if writers keep a watch at india forums though...better to yell at the site. People may also think that it is but reality as people even leave their wife and kids after 10-15 years of their marriage and Jagia is so young. Fine, my view says if this IS a show trying to market itself as one of the people giving great messages, it should DEFINITELY NOT set the example of cheating,right?? And again I would repeat, this show that is supposed to reform people and should give good messages for a better life........SHOULD NOT promote such events that would DEGRADE morals, rather than uplifting them, trying to shatter the faith on love, itself. A more fulfilled life definitely includes, love, trust, faith, and commitment in a relationship. If Jagia could cheat Anandi after 13-14 years, what's the guarantee he'd be a good husband to Gauri?? If this is what they call attraction...."teen attraction"?? then surely Jagia's character is going to be a that of a pervert...!! He had resisted so much to marry again in the past, ...all these years his love for Anandi had been so sweet......and JUST BECAUSE it’s a child marriage, does it mean it has to end in NOTHING?? To give social messages,there was Sugna's widow remarriage, Basant and Gehna’s marriage.....too!!! What we are talking here is not about just child marriage, but more about love!! !true love, if there exists any.....and Jagia loving Gauri is impossible,.......I would say, that is his attraction!!! PS:write in their site, do anything, but do something.,...its a new consumer world, and no matter what their marketing strategy is, we have a right to see what we want.....let's do something about it!! Would you leave a note? Follow @doveranalyst Copying anything from doveranalyst.com is a criminal offence. 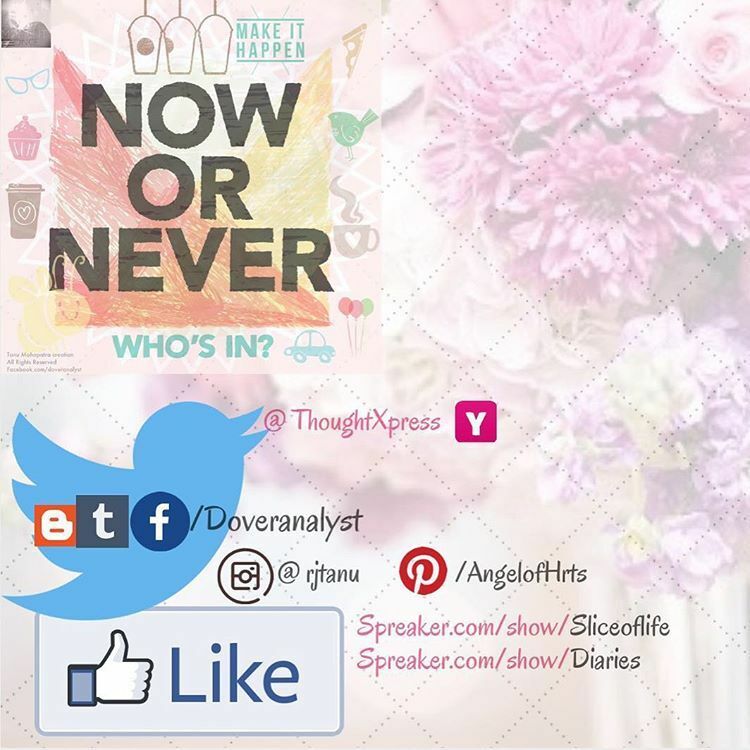 doveranalystbyRJ Mrunmayeeis licensed under aCreative Commons Attribution-NonCommercial-ShareAlike 4.0 International License. Based on a work atyoutube.com/doveranalyst. Permissions beyond the scope of this license may be available atdoveranalyst.com@gmail.com. 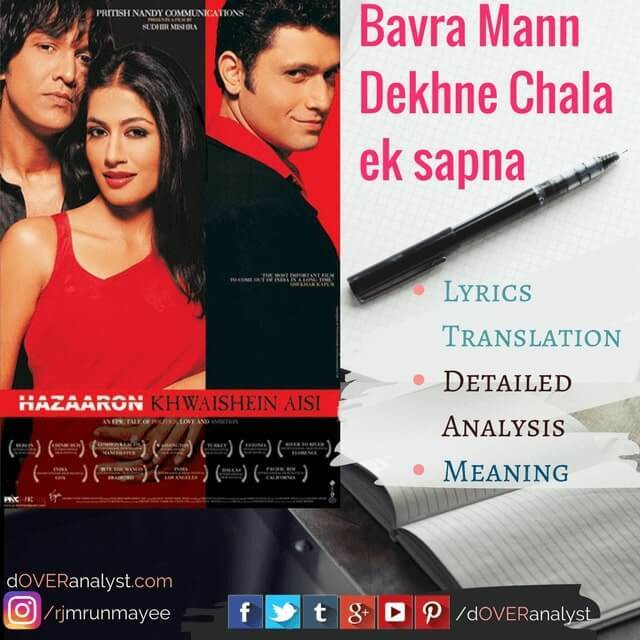 Ok, this is a very pathetic attempt at translating such a deep heartfelt song, (Bawra Mann Dekhne Chala Ek Sapna) by your very own, @doveranalyst, but I had to cuz none of the translations on the net seemed too good to fit it! I just heard it today and it was too captivating. A thousand dreams as such that... It leaves the meaning; the sentence halfway; arousing you to know more. What kind of thousand wishes? How can you not ask? This comes from the famous Mirza Ghalib Ghazal. You can check the whole thing on rekhta. Hazaron Khwahishen aisi k har khwahish pe dum nikle. A 1000 wishes such that I die at every wish. (as in; so difficult to complete that I nearly die at each wish). It's a funny throwback to my random Hindi raw reaction discussion to Ae Dil Hai Mushkil. Scroll down for line by line in-depth lyrical translation in English. You're in safe hands. 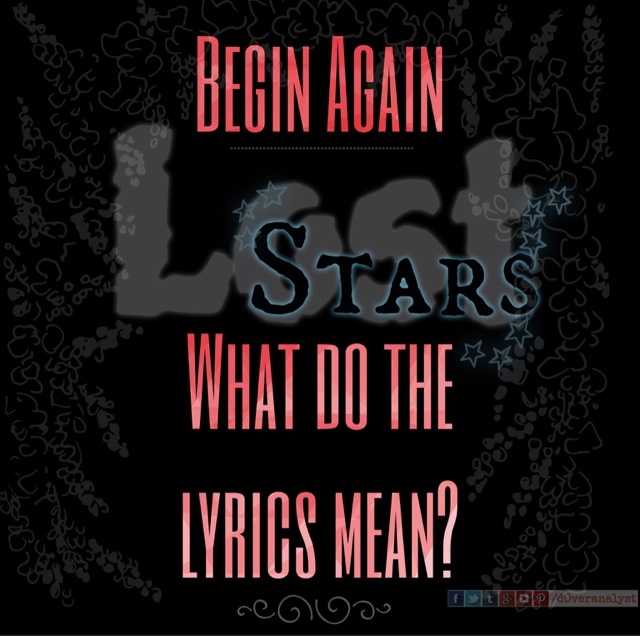 Lost Stars Song from the movie Begin AgainSometimes there are these songs that start a conversation. Because even though Lost Stars Song is in English you still need someone to translate it and explain the lyrics. Lost Stars gets you lost. Literally. Even though you love the idea of stars being lost, and relate to the extremely vulnerable protagonists, you still do not get the complete meaning of the song. And need help. It's like the movie Gone Girl, where you just need to talk to someone. Don't worry, doveranalyst is here! Begin Again was nominated for an Academy Award for Best Original Song for "Lost Stars".OK, if you haven't seen the movie, go run, watch it somehow! I tend to resign into my deeper analysis, meaning of these lyrics of such a soul searching song. It's amazing how sometimes we can find our life and meaning to various situations in our life through few simple lyrics. I guess if we really wanna find, then we can find a line or two for every situation in our life. Especially, I loved the way the video was filmed; the way the singers are actually being submerged with each line they sing...lol. I am sure I'd seen it earlier ages ago, but somehow it was only recently that I loved it so much! !